Liberty Navigation (S) Pte Ltd is a ship owning company and is a part of the holding company, Transworld Group Singapore. Liberty Navigation's young, fast fleet of container feeder vessels includes new builds from Singapore Technology Marine and flies the Singapore flag. 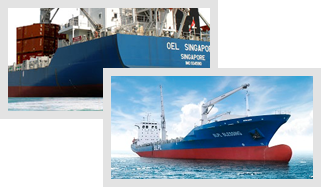 These vessels are currently chartered to the ship operating company, Providence Ship Management Pte Ltd. The ships are all managed by an in house ship management company; Providence Ship Management Pte Ltd., whose highly skillful team efficiently oversee the technical and crew matters of the vessels.